It is understood that classes will be in session during inclement weather unless an official announcement is otherwise made. Therefore, all faculty and staff are expected to be present. Classes will be conducted according to the published class schedule. The cancellation of classes or the adjustment of class schedules will be announced on the following radio and television stations: KMOX-1120 A.M., NewsChannel 5 KSDK, News 4 KMOV and Fox 2 KTVI. Students and all university personnel are to assume that classes are to be conducted as usual and that all offices are open unless otherwise noted on these stations. Please note that the schedule of the William L. Clay, Sr. Early Childhood Development/Parenting Education Center may sometimes differ from the schedule for the rest of the University. 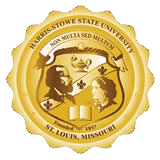 As such, closings for the Early Childhood Center will be noted as “Harris-Stowe Early Childhood Center,” and the rest of the University will be noted as “Harris-Stowe State University.” On the rare occasions when classes have to be canceled or adjusted, the decision will be made by the president or his representative and will affect those persons as determined by the status of the University for that day. The decision will be made no later than 5:45a.m., if possible, and the radio and television stations listed above will be notified of the closing. Students, faculty and staff must rely on this means of communication to keep informed. It is recognized that the decision to cancel afternoon and evening classes may require more deliberation because conditions of hazardous driving tend to increase due to traffic, lack of snow plows, darkness, etc. A decision will be reached no later than 3 p.m. as to whether classes will be in session for the remaining afternoon and evening programs. This decision will be made by the president or his representative. Should classes be canceled, the stations listed above will be notified, or you can call (314)340-3366 and listen to the recorded message or visit www.hssu.edu. Both regular and adjunct faculty and students have the responsibility of contacting the University if they are unsure about their particular classes.